Are you looking for Free Activities to keep you and your kids entertained this summer?! Happy Friday, Ladies! We've had a busy and fun time at Vacation Bible School, this week. I am so grateful to our church for many, many reasons, but one of the biggest is how much they nurture and cherish our kids. Hudson & Holland practically live there, since there school is in the same building. And in those walls, they've learned so much already and created some incredibly sweet friendships. If you have the opportunity to send your kids to a VBS in your community this summer I highly recommend it. Your kids will love it. And you can either take that time for yourself or stay and volunteer. It's free. Easy. & Fun. What more could you ask for? And now that our own VBS is done, we have a long summer ahead to fill with fun and stimulating activities that don't involve a screen. And I've brainstormed a few awesome ideas for you to take advantage of too! 1. Public Library: This one goes first because it is probably the best option if you're looking for completely free. We spent our last Saturday at the local library and the kids were entertained for hours. There was a free craft time. Educational games. And they were even screening free children's movies in their Theater room. Not to mention, libraries often host free plays, performances & classes to keep your little one busy. So if it's too hot outside and you don't want to spend a ton of money... you MUST visit your local library! 2. Farmer's Market: Most towns will host weekly Farmer's Markets that can be a lot of fun. Here in Baton Rouge, there is a ton of stuff to do and see at the Market and our kids always love going. Often times there may even be some sort of activity for little ones to learn about farming & the market. Not to mention all of the amazing food! 3. Outdoor Scavenger Hunt: This is one of my favorite ideas! You can make your own scavenger hunt list for items to find in the great outdoors or find ones like this on Pinterest. It's a great and fun way to get moving and exploring. 5. Geo Caching: I first heard of Geo-Caching from my old roommate, years back. And I guarantee you that your kids will love it. If you aren't familiar with the concept, you can head to Geocaching.com for more info. But, it is essentially a free, city wide scavenger hunt that is curated by other Geo Cachers like you. 6. Make a Movie or YouTube Video: I personally, have fond memories of my big brother and his friends making videos with our parents Video Cam in the backyard. They would spend hours writing scripts and putting together props and costume. And I absolutely loved it when they would let me participate. Now that I'm the mom, my four year old is constantly asking us to film his "show". He likes to pretend that he has a YouTube channel where he shows off his transformers collection or acts out fight scenes between Optimus and Megatron. So I'll whip out my iPhone to film his ideas and then play it back for him later to see. It's a great way to pass the time and let the imagination take over! 7. 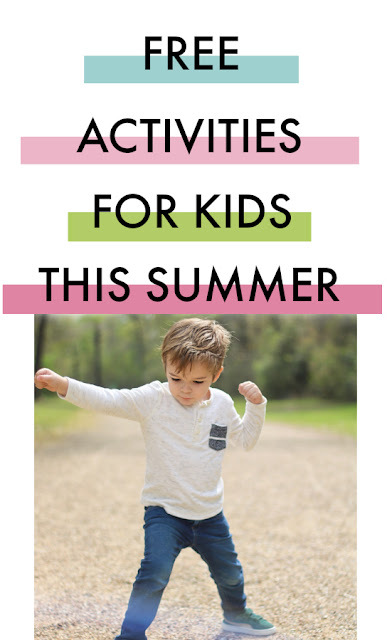 Reading Programs / Story Times: Stores like Barnes & Noble and Pottery Barn Kids host summer reading programs and weekly story times throughout the summer that usually involve some sort of reward or craft for participating. Not to mention many local business do this as well. You can usually find this information through your local newspaper or a community parenting magazine/blog. 8. Pinterest Crafts: This is pretty self explanatory. But you can find endless hours of entertainment for kids of every age on Pinterest just by searching "kids activities" or "kids crafts". You may end up with some glittery slime stuck in their hair, but at least they're having fun! P.S. 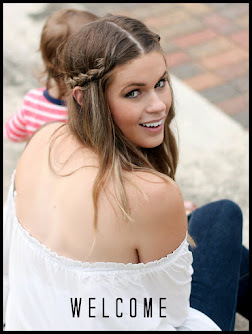 How cute is this striped babydoll top?! It's one of my new go-to pieces! I love the Ruffled Sleeve and the collar. Plus, it's only $15!! It also comes in two shades of Blue, which I think I may be ordering soon! I'm still loving Gladiator Sandals for summer and this black studded pair is one of my favorites. You can find all of the shopping details in the widget below! Or by shopping my Instagram Feed on my SHOP page! Until Next time, Lovelies! Have an awesome Weekend! If you loved this post, please share it with your friends! Great list! We love doing Pinterest crafts.